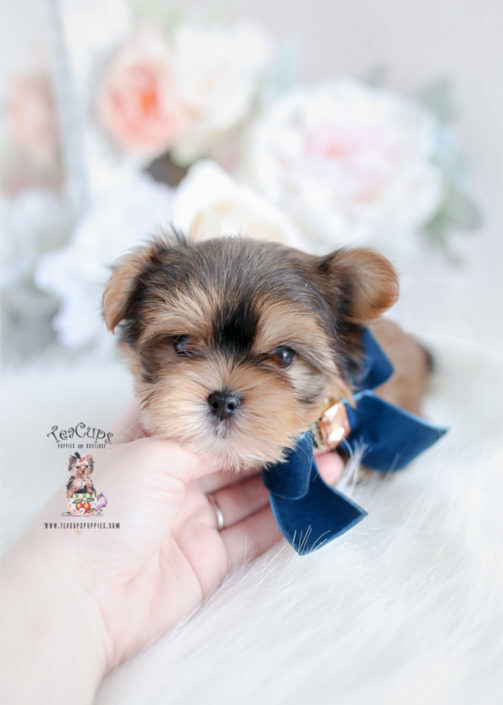 TeaCups, Puppies and Boutique – Specializing in Teacup Morkies & Designer Breed Puppies For Sale! Looking for a Teacup Morkie? You’ve come to the right place! 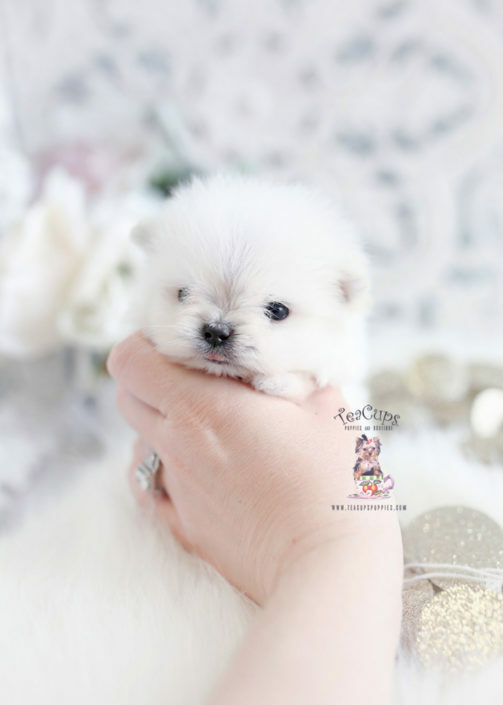 Here at TeaCups, Puppies and Boutique, we’ve been specializing in tiny Teacup Morkies, Maltipoos, and other highly sought after designer breed puppies for sale since 1999! 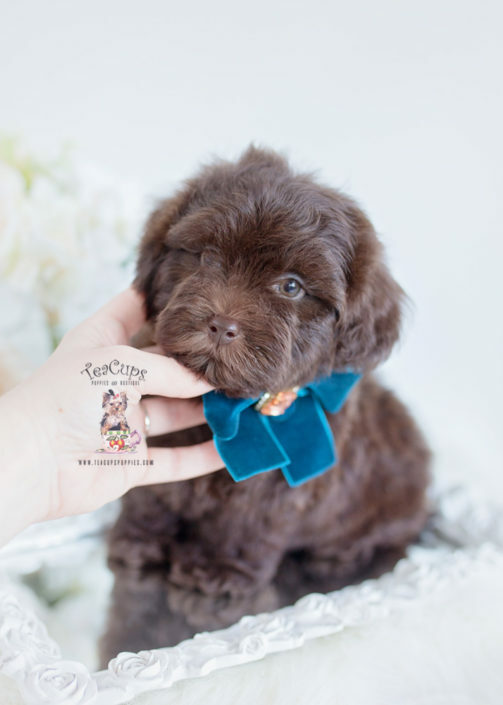 Check out our image gallery below to view past and present designer breed puppies for sale by TeaCups, Puppies and Boutique! Hand Delivery Service of our Teacup Morkies and Designer Breed Puppies is Available Throughout the USA and Across the Globe! Due to the delicate nature of our tiny Teacup and Toy Morkies and other designer breed puppies, we will not ship them alone in cargo under any circumstances. 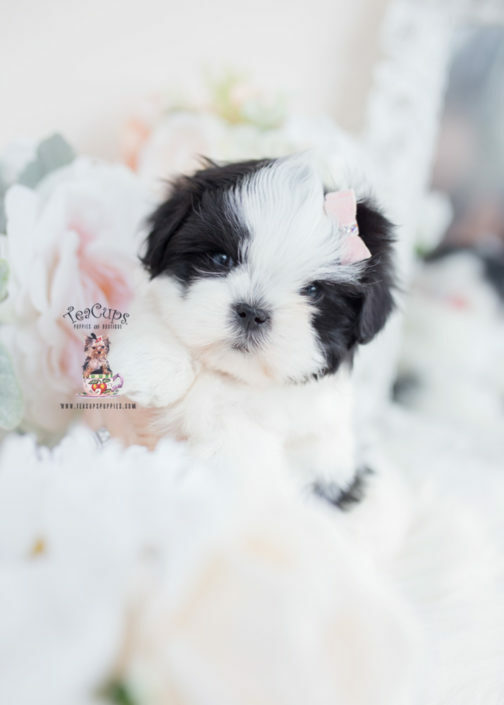 We do, however, offer a safe and sound hand delivery service of our Teacup Morkie and designer breed puppies to out-of-state and international clients. A designer breed dog is a cross or “mix” between two different purebred dogs. Designer breeds differ from “mutts” in the way that their ancestry is actually known, and both of its parents are of purebred descent… whereas a mutt is a dog of mixed, unknown ancestry. Once upon a time, many thousands of years ago, there were no breeds. Breeds were created by man through a selective breeding process by using only the dogs with specific traits or characteristics such as: appearance, size, temperament, or ability. Many breeds were created to serve a purpose. For example, the Yorkshire Terrier was bred specifically to hunt rats in textile mills. Their small size allowed them to maneuver into tight spaces, so breeders selectively bred these terriers down to size. The American Kennel Club (AKC) sets the standard for which breeds to be recognized as “purebred,” and recognition often takes decades. The Yorkshire Terrier originated in the mid-1800’s, its signature appearance was achieved in the late 1860’s, and the breed wasn’t recognized by the AKC until 1885. So, many of the popular designer breed dogs that we know and love today may very well be recognized as purebred dogs in the future. 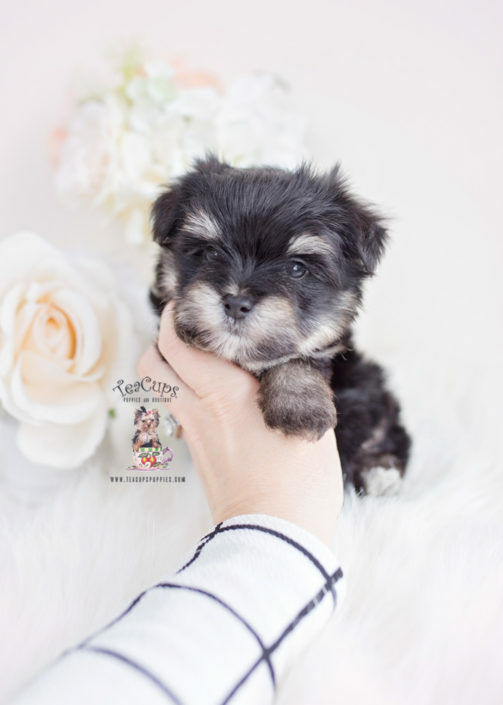 The Morkie is one of the most popular designer breed puppies here at TeaCups, Puppies & Boutique. Crossed between a Yorkshire Terrier and a Maltese, the Morkie is both energetic and playful, as well as affectionate and loving. A Morkie puppy can be born with the traits of either a Maltese or a Yorkie, or a mixture of both. Common colors expressed in the coats of Morkies include black, brown, tan, and white. The Morkie sheds little to no hair and requires regular grooming and trimming of its long, silky coat. Morkies known as “teacups” or simply, “Teacup Morkies,” are designer breed Morkies that fall into a smaller size category of 4 lbs or less at adult weight. 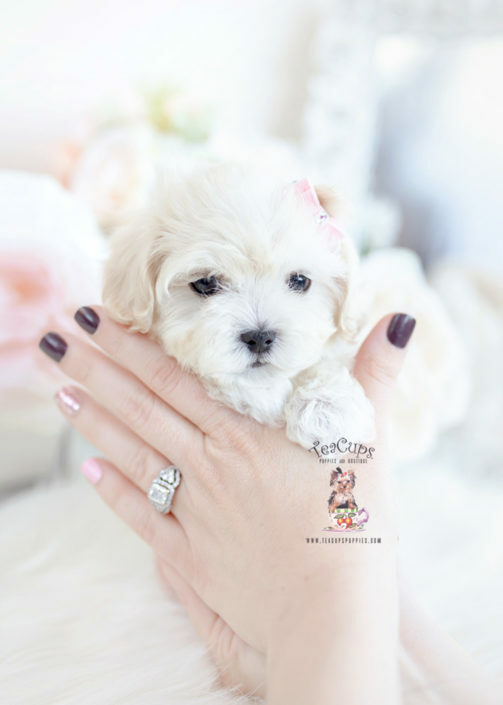 The Maltipoo is another very popular designer breed puppy here at TeaCups, Puppies & Boutique. Crossed between a Maltese and a Poodle, the Maltipoo is intelligent, friendly, and affectionate. 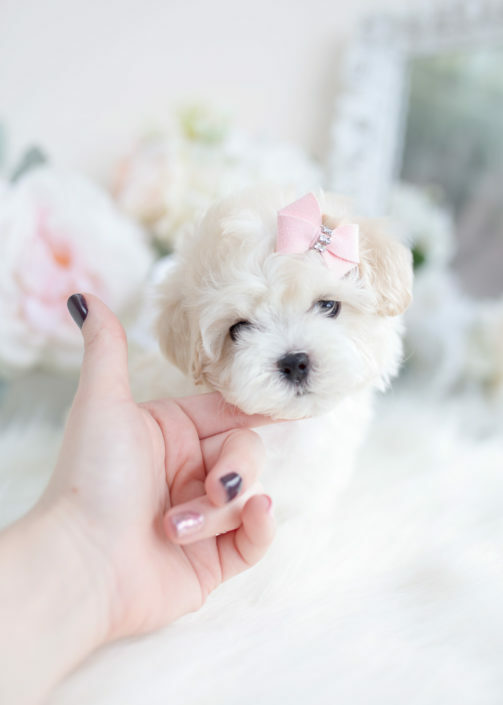 A Maltipoo puppy can be born with the traits of either a Maltese or a Poodle, or a mixture of both. Colors often expressed in the coats of Maltipoos include black, white, cream, and apricot. The Maltipoo sheds little to no hair and requires regular grooming of its long, curly coat. Maltipoos known as “teacups” or simply, “Teacup Maltipoos,” are designer breed Maltipoos that fall into a smaller size category of 4 lbs or less at adult weight. Didn‘t find the exact traits you’re looking for in any of our Teacup Morkies or designer breed puppies for sale? 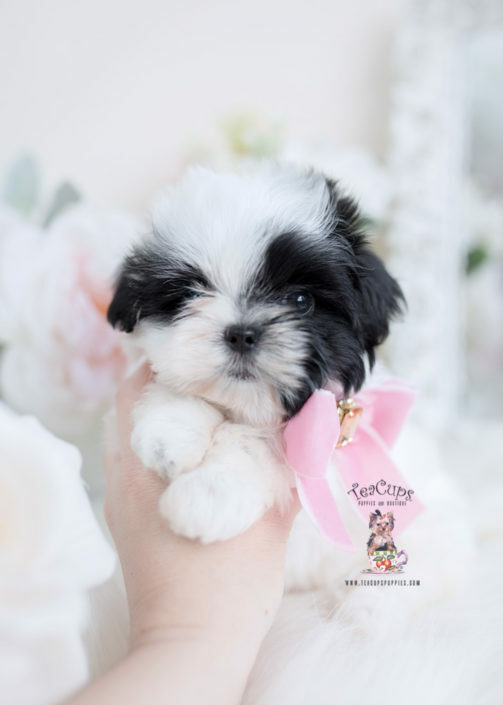 Here at TeaCups, Puppies and Boutique, we offer a wide variety of designer breed puppies for sale in the South Florida area, including: tiny Teacup Morkie puppies, Toy Morkie puppies, tiny teacup Maltipoo puppies, Toy Maltipoo puppies, and occasionally, Shih Poos, Mal-Shis, and other adorable designer breed puppies. 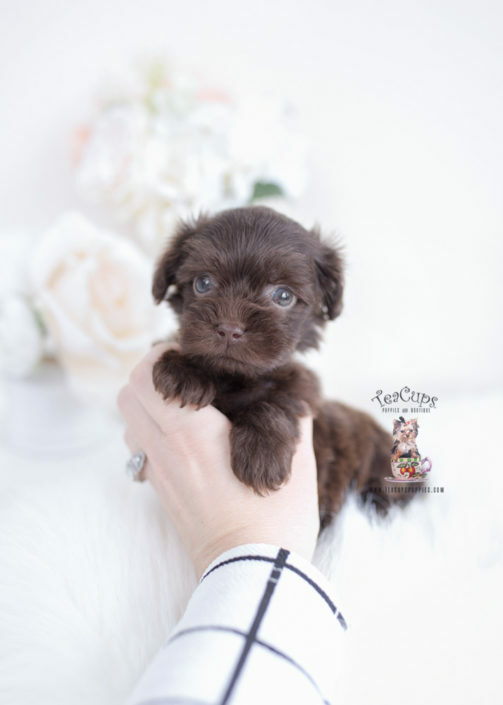 Teacup sized Morkies and Maltipoos are still quite rare, however, and do sell rather quickly here at TeaCups, Puppies and Boutique! So, if you don’t find exactly what you’re looking for, or if the Teacup Morkie puppy that you had your eye on is no longer available, please let us know! 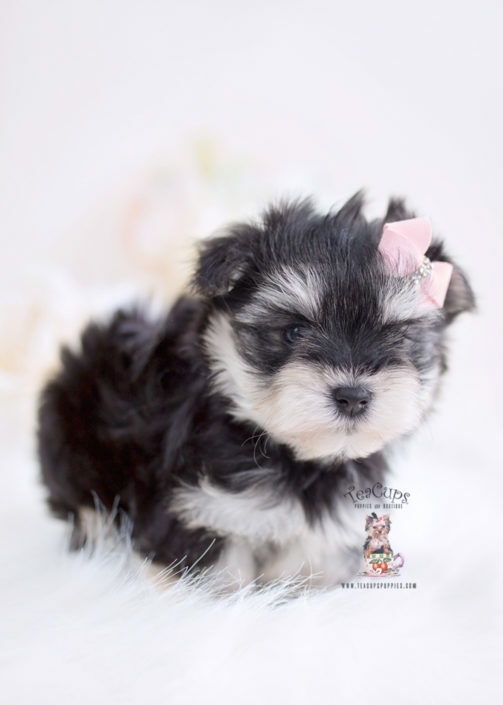 We will find the perfect Teacup or Toy Morkie or designer breed puppy just for you! Every Teacup or Toy Morkie and designer breed puppy for sale here at TeaCups, Puppies and Boutique of South Florida will go home with an official health certificate signed by a licensed veterinarian, a 1 year health guarantee protecting against hereditary and congenital defects, all current vaccinations, and a complementary vet visit. In addition, each client will receive a 45 minute orientation before taking their new puppy home. During this time, the client will learn how to feed and care for their brand new Teacup or Toy Morkie or designer breed puppy!